← Abbey Road. Side 2. Song 1. 2006 Campion Pinot Noir: Retail $30. After a bit of time open, a great nose of Bing cherry and a touch of mocha and really surprising on the palate. After a bit of a lackluster start, this really came alive. Good fruit, depth, and lasting finish. While I was ready to write this one off upon opening, after only a half an hour, it really caused me to re-evaluate. While short of a “whoa” this might warrant a “wow.” Very Good to Outstanding. 89-91 Points. 2004 Michele Chiarlo Barolo Tortoniano: Retail $40. 100% Nebbiolo. Opened during a lull in Hurricane Harvey here in Houston, fairly translucent with aromas of dark cherry, menthol, earth, and bacon. Yum. Did I mention bacon? On the palate, this has matured nicely since my last bottle: luscious fruit, earth, acidity, elegance. I am far from an expert on Barolo, and I realize this is a fairly large producer of relatively inexpensive wines from the region, but this is particularly nice. Outstanding. 91-93 Points. 2002 L’Ecole No. 41 Cabernet Sauvignon Columbia Valley: Retail $45. This wine is in such a great place right now, I am sad that this is the last bottle I have. Really dark in the glass with dark red fruit, tobacco, and a bit of heat on the nose. Once past the lips, this wine begins to sing—subtly at first, but then with more vim and vigor. Surprisingly good fruit with bits of tobacco, leather, and earth. Falls just short of a Whoa. Outstanding. 91-93 Points. 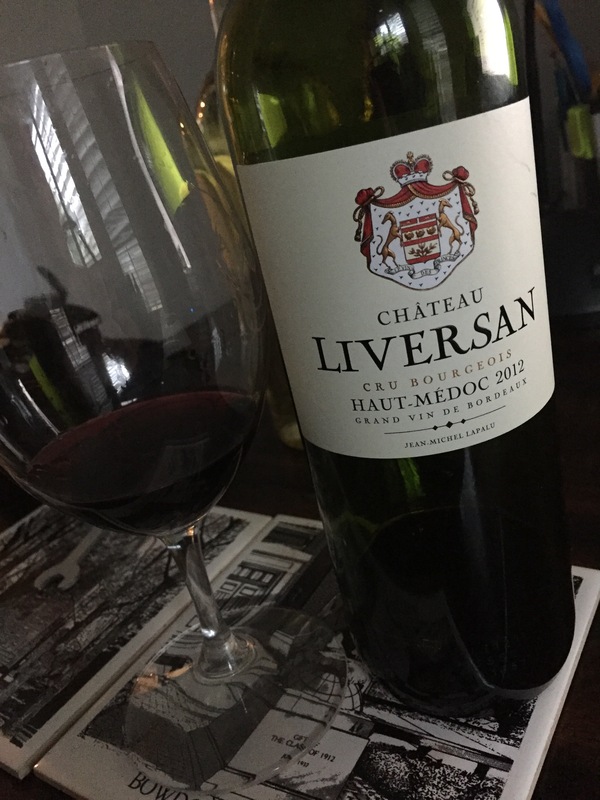 2012 Château Liversan Cru Bourgeois: Retail $20. 50% Merlot, 44% Cabernet Sauvignon, 4% Cabernet Franc, 2% Petit Verdot. I picked this up at my local Costco for under $10 since I have had very good luck with Cru Bourgeois wines, figuring this was worthy of a try. I was right (I like it when that happens, as rare as it is). Red berry fruit with a bit of bramble, the wine is far from opulent, but nor is it austere. Over the course of the bottle there was some slight improvement rendering a good wine delightful. There is a bit of life left in this wine as well, tempting me to run out and buy a case. Very Good. 87-89 Points. 2005 Olek-Mery Chinon Cuvée des Tireaux: Retail $25. 100% Cabernet Franc. Really more vegetal than fruity both on the nose and palate with clove and menthol components that underscores the old world nature of this wine. Not much fruit left on the palate, but there is plenty of acidity, weight, and depth. OK, this is not a wine for most, but it has a certain allure, a certain gravitas that requires me to revisit my time in Chinon—to look back at it with the fondness that it merits. I love the town Chinon, and I really love this wine. Outstanding. 90-92 Points. 2015 Rodney Strong Pinot Noir Rosé: Retail $25. 100% Pinot Noir. I bought these earlier this year as they were $60 for half a case. I had always been impressed with Rodney Strong’s rosé, and since it is a “True Rosé” (i.e., not saignée) so I figured it had some age-ability to it. Well, looks like I was right—great watermelon Jolly Rancher fruit on the nose, and tons of tart strawberry on the palate. Sure the fruit has faded, but only slightly—I imagine this will drink well for another couple of years at least. Outstanding. 90-92 Points. WINE OF THE WEEK: This past week was trying: my son had a birthday party, we needed to get the house ready for the impending arrival of my in-laws who will be staying with us while waiting for their house to be built in our neighborhood, and oh yeah, Houston was hit with a storm of Biblical proportions causing widespread flooding and the displacement of tens of thousands of people. As I mentioned both here on this blog and on Facebook, we were lucky. Extremely lucky. As we suffered only minimal damage to the house (which should be covered by our warranty—we just moved in to the new dwelling in October). My wonderful wife deserves the credit for most of our good fortune as she was diligent in selecting the location for our new home. She had no interest in homes located in a flood plain, not a 100 year flood plain, nor even a 500 year flood plain. No, she insisted that the house be in an area of Houston that did not have the word “flood” associated with it in any way. Thus, our current home sits on the sight of a former K-Mart, in a newly created gated community with homes that all look disturbingly like one another. Don’t get me wrong, I think I can speak for my wife in saying that we both love our new house (as much as one could or should love an inanimate object) and we also love our new little community. It is not much of a stretch, however, to see how some might call our new little enclave “bourgeois” but that is just fine with us, particularly after the events of this past weekend. That is why this week’s Wine of the Week is the 2012 Château Liversan Cru Bourgeois, a wine that we opened just as the storm hit, sharing it with a few of our new neighbors, all of whom seemed to enjoy it very much. This entry was posted in Barolo, Cabernet Franc, Cabernet Sauvignon, Merlot, Nebbiolo, Petit Verdot, Pinot Noir, Wine. Bookmark the permalink. rain…rain…rain…for you my friend it should be a torture all this water…no rose’…no champagne…no sylvaner? just a little smile in this hard situation. stay safe and take care texas! Thanks! I find it best to keep things lubricated! 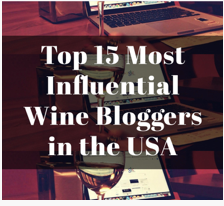 Look at you picking Bordeaux as the wine of the week. Glad the sun is out and the rain is gone. Now comes the hard part. I know I keep telling you this but if you need anything we are here. It took me a while, but I finally got there!